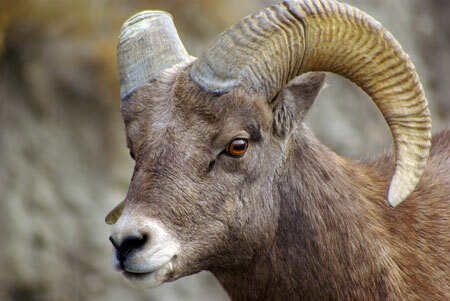 One, possibly more, bighorn sheep to be killed. Update 5/31/09: It gets worse. Sick, wandering bighorn trailed near Salmon River. Idaho Statesman. A bighorn sheep ram has interacted with domestic sheep on private property upriver from Riggins, Idaho and is reported to be sick. It is now associated with several other bighorn sheep. IDFG officials have decided to kill the sick ram but officials have not decided how to handle the situation regarding the other sheep. There is the possibility that the remaining sheep may be killed as well. The Nez Perce Tribe has been closely monitoring bighorn sheep in the Salmon River Canyon in recent years in an effort to document how bighorn sheep use the canyon. This monitoring shows that this kind of interaction can and does occur. The owner of the domestic sheep holds permits on nearby BLM and Forest Service allotments but has been prevented from running sheep on the Forest Service allotments but the BLM continues to allow grazing on their allotments at the expense of bighorn sheep which are very susceptible to pneumonia that are carried by domestic sheep. There have been numerous die-offs of bighorn sheep around the country that are due to these types of interactions. It is particularly negligent for the BLM to allow continued domestic sheep grazing in this area but they have resisted efforts to close the allotments and it is contrary to their own recommendation and that of Western Association of Fish and Wildlife Agencies (WAFWA) of maintaining a minimum 9-mile separation between bighorn sheep and domestic sheep.Of particular importance is the fact that the bighorn sheep in the Salmon River Canyon are not reintroduced, they are native sheep and they have been in steep decline due to domestic sheep disease. If this steep rate of decline continues then these bighorn sheep will go extinct therefore, it is extremely important that these interactions cease. Bighorn Sheep rams have been documented traveling 40 miles or more in search of other bighorn sheep and most of central Idaho contains suitable habitat for miles in all directions. Even bighorn sheep in the center of the Frank Church Wilderness are affected by domestic sheep diseases and die-offs have occurred in the lower Big Creek area far from any domestic sheep allotments. Since Gov. Butch Otter signed the bill that forces the fish and game to act in this manner, can we say the bighorns are going to be “Butchered”? Yes, they will be butchered Larry. Along with any other animal in Idaho that causes any inconvenience, except for deer or elk, since they are fun to shoot. Barker gives a timetable of the ram’s wanderings. unfortunately, it looks as if the entire ram group may get the “thumb down” from Caesar. Sounds like there were a couple of opportunities to kill the young ram prior to mixing but failed to get it done.